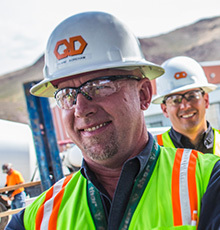 Q&D Construction has grown to serve our clients, adding new capabilities and creating specialized groups to consolidate our unique and diverse set of expertise. These groups provide focused project leadership, supported across all facets of your project by knowledgeable professionals throughout the organization. Click below to learn more. For new construction or renovations, our clients get a well-tailored process with big-picture focus. A mobile, nimble and reliable aviation workforce with the tools and training to execute any aviation project. 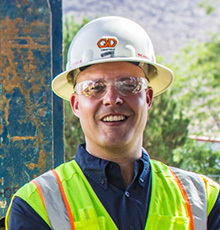 Q&D has the equipment and manpower to shorten schedules and lower your project costs. 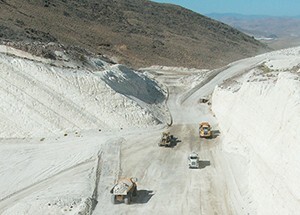 Q&D understands critical infrastructure needs and safety-focus of today’s modern mining operations. We understand the term dream home means something different to every client. Q&D has the specialized knowledge needed to be part of your healthcare project team. Q&D’s team are experts at deploying our uniquely collaborative approach to project coordination and control at any location. Cloud-based communication and specialized construction technologies have significantly decreased the distances between our project partners and increased our responsiveness to our clients. 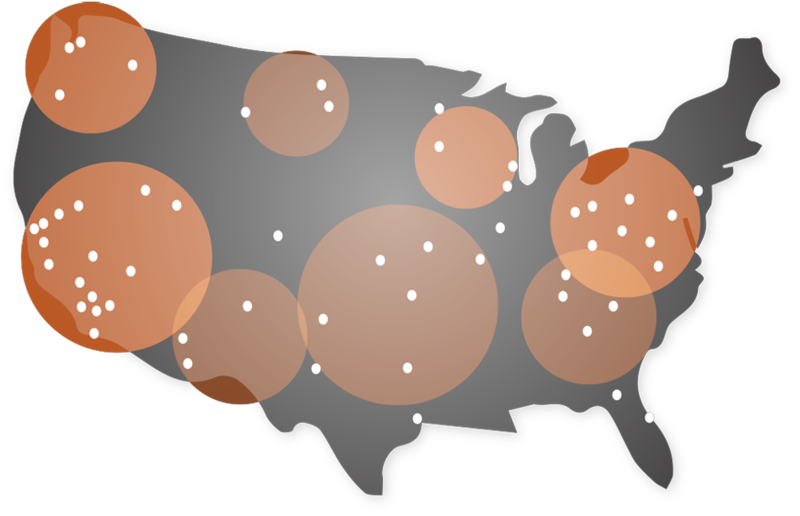 That’s why Q&D is licensed in 15 states and has active projects or recently completed work in over 20 states for new and repeat clients. We’ve won awards from communities in which we construct both projects and relationships, recognizing and thanking Q&D for our fair, organized and knowledgeable building practices. Construction Management at Risk (CMAR) delivery method provides a smoother, more manageable project with the greatest value for the client’s dollar. 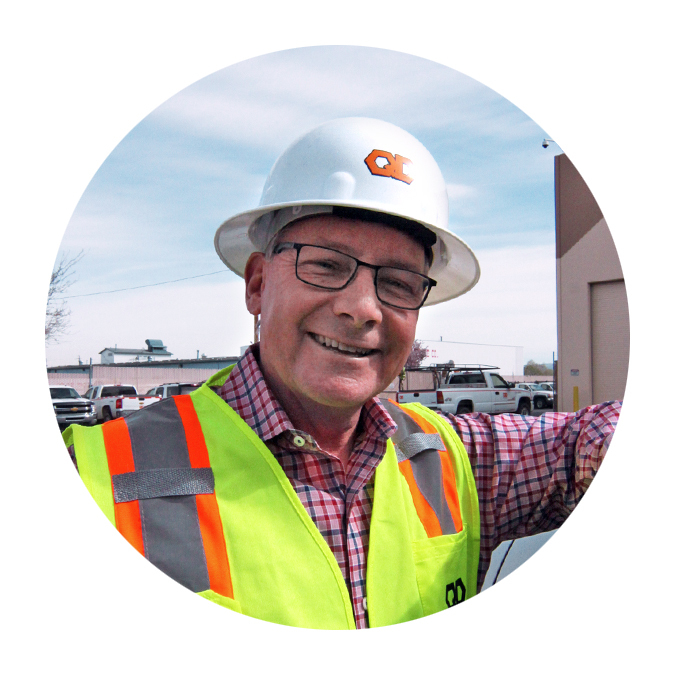 The CMAR approach allows public works agencies and other clients to get the benefit of critical feedback on costs, constructability, materials selection, quality and schedule from the construction manager during the preconstruction process. 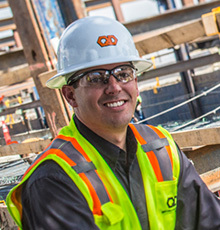 In this process, Q&D’s values truly align with our contractual obligations: to deliver a quality project to the client, providing the most value for the budget, and to build strong relationships in the process. There is no better method for controlling cost and keeping a design within budget than having a talented contractor on board as a partner and expert in all aspects of building – at the start of your project. You may prefer design-assist if you want to harness the efficiency that comes with early design and construction collaboration, but you wish to supervise the architects, engineers and other consultants. In design-assist project delivery, the architect and engineers are under direct contract to the owner while key subcontractors—typically mechanical, electrical, plumbing and landscaping—are under contract for design and construction to the general contractor. These systems subcontractors represent a major portion of a project’s cost, so they can give the owner numerous pricing alternatives to help arrive at what represents the highest value for the owner. Many clients like design build delivery because it’s turn-key. The responsibility for completion dates, quality and costs are placed with a single entity: Q&D Construction. Like the “master builders” earlier times, our responsibilities span the entire building process. As an experienced design-build organization, we combine strong management ability with skills in balancing good design with construction economy. 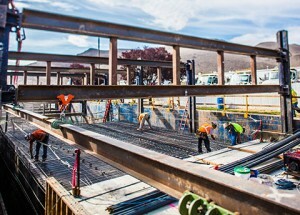 Q&D’s Heavy/Civil Group is bidding up to 9 projects a week to keep pace with a market of smaller yet challenging projects. It’s still the most popular form of delivery for public agencies, and we pride ourselves on leading the competition, especially on the gnarly jobs that involve tricky tie-ins, trenches under a river, complex reconstruction, or maze-like logistics. 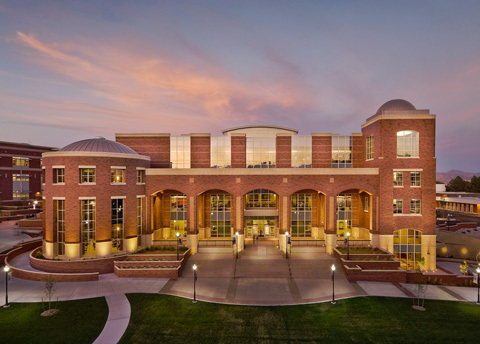 Q&D has also completed design-bid-build public works jobs as large as the award-winning Mathewson-IGT Knowledge Center at the University of Nevada, Reno and as innovative as the Virginia Street Bridge. Today’s designers and engineers use Building Information Modeling tools (BIM) to produce construction drawings, producing a hyper-accurate, digital representation of the project’s detailed geometry and specific tolerances, rendered in three dimensions. Each element drawn in a BIM model is enhanced not only with additional dimensional and spatial information, but with specific details about its material, manufacture and finish. A very simple example is a door frame, which is drawn in 3 dimensions, will be tagged information about the hardware set, wall thickness, the door’s swing and paint color. Q&D will use the design model to more quickly gather data for estimating and as a critical tool for enhanced coordination between building trades during preconstruction. Q&D’s preconstruction service gives you important early decision-making tools that complement the expertise of other project team members and inform the project goals. Preconstruction is a service we’ve offered at Q&D since our founding nearly fifty years ago, working alongside our clients and designers to get them the best value for their projects. Q&D’s preconstruction process uses our layered, comprehensive set of estimating and planning tools in concert with established practices to provide support, decision-making information and guidance for our clients. We engage the subcontracting community with outreach and careful bid packages to get the best pricing on the guaranteed maximum price. Our focused, technology-based tools for construction field management include online project collaboration, BIM-integrated schedule management and project-specific zero-incident safety implementation. Q&D helps you implement sustainability initiatives on your project by working as part of the project team to implement them into the design during preconstruction. For renovations, expansions and tenant improvements, Q&D and our subcontractors will operate under client and facility environmental initiatives, integrating them with our own programs for recycling, emissions reduction and use of green energy. Q&D provides accurate costs and life-cycle studies to help with decision-making, demonstrate the benefits of green initiatives and promote them to the community. On projects with formal certification objectives, Q&D follows through with accurate record keeping and regulatory reporting. Q&D also promotes stakeholder enthusiasm for green initiatives and works to generate new and innovative sustainability measures to benefit clients. Q&D has completed over $250,000,000 worth of LEED-certified construction, is a member of the USGBC and has fourteen LEED credentialed employees across various company roles to ensure there is a LEED professional available to help with your green-building project. 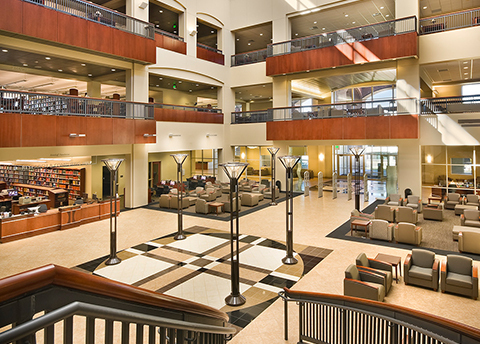 From interior improvements, to ground-up terminal and support facility projects, Q&D has the big company resources to fulfill schedule commitments and a friendly approach to customer service. To best serve aviation-industry clients, Q&D assembled a mobile, nimble and reliable aviation workforce with the tools and industry training to execute any aviation project alongside any number of project stakeholders. Working in over 100 airports across the United States gives the Q&D aviation group insight into the unique nature of aviation-related construction and knowledge of the needs and priorities of many different airline and airport stakeholders. Q&D works alongside our clients, within the framework and layers of regulations, restrictions and initiatives, to develop the most advantageous and cost-effective solution on their behalf. Commercial, vertical building construction is where Q&D started back in 1964, with a small kitchen build-out, a borrowed truck and garage office. 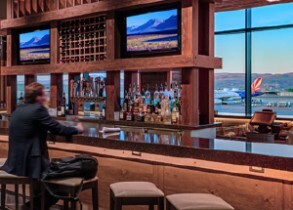 Since those early days, Q&D has built projects that range from a small equipment replacement project in a hospital operating room to a $230,000,000 luxury mountain resort, and everything in between. That varied background of project experience is the foundation for our professional construction management process that will provide you with a well-planned path for your project, a safe project and efficient project during construction and a project that meets your needs while providing you with the best value. Q&D’s building group clients vary from private owners who prefer negotiated/GMP projects to public agencies and universities using CM at Risk project delivery. Over 92% of our projects over the last 20 years are for repeat customers. 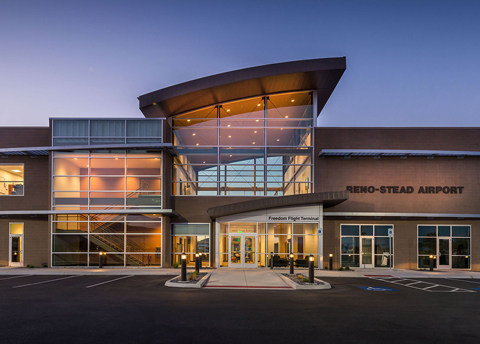 Regular clients include SCHEELS, University of Nevada, Reno, Saint Mary’s Regional Medical Center, NV State Public Works Board, Washoe County School District and the Reno-Tahoe International Airport. Whether repairing bridge decks in the public right-of-way at 2:00am, realigning the Truckee River to enhance riparian habitats or scraping the earth to make way for the latest technology center, Q&D’s Heavy/Civil Group has a culture of being stewards of our community. No other part of our company has more interaction on a daily basis with the public, we represent our clients in the public view and we do it with a helpful, neighborly approach. For example, while widening a major arterial, Q&D kept the local business owners well-informed and travelers moving smoothly to their destinations – AND we also looked at the schedule, phasing, engineering and material constraints and asked if we could adjust the plan. With buy-in from the stakeholders, we added resources complete the work faster and for less money – to get our community back to business-as-usual as fast as possible. The raw materials provided by mining drive manufacturing and help fuel our economy. Mining is a mix of speculation, science and operational efficiency that involves tight timeframes and inherent dangers. To better serve our mining clients who rely on safety-focused, efficient companies like Q&D to support them with construction services, we created the Mining Group which focuses on maintaining a reliable MSHA-trained workforce and provides equipment and resources dedicated to mining-related construction projects. 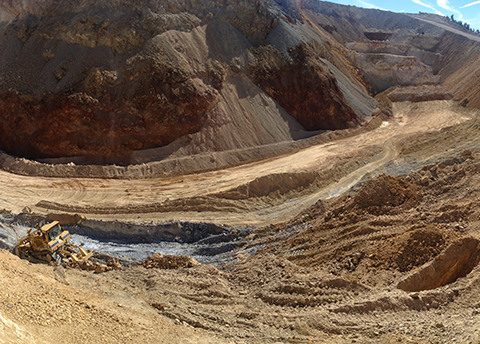 Q&D supports mining operations with basic ore hauling and aggregate crushing, infrastructure construction such as water treatment facilities, utility pipelines and operational needs including dewatering plants, heap leach pads and tailings dams. The healthcare industry requires specialized knowledge and skill– customized control to support medical design teams and processes and procedures that really work in healthcare construction, including specialized safety programs and infection control. 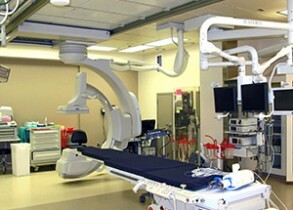 Healthcare construction needs real team logistical planning participation from the contractor, especially with phasing or as-built conditions that may impact projects. 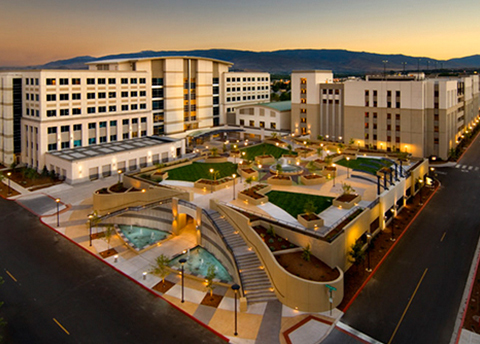 Healthcare projects lend themselves best to builders and construction managers that have a depth of experience in negotiated work, where the project team works in partnership from the earliest phases of the project to the best value for the client. In order to better serve our medical clients, Q&D created a medical specialty department; a group within our organization that focuses solely on medical projects to apply the skills and knowledge gathered over 30 years of construction management in the healthcare industry. Q&D has delivered unique, award-winning custom homes ranging in price from under $1,000,000 to over $50,000,000. 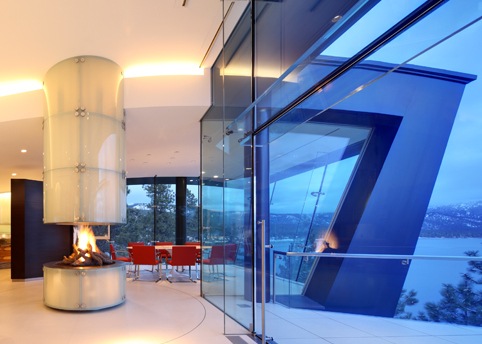 We build spectacular properties on difficult, dramatic sites with accelerated schedules. Our leaders understand the term dream home means something different to every client. It could mean living off the grid. It could mean creating a camp. It could mean living in a sculpture. We appreciate that our clients all have different budgets and different goals. Whether you are considering a small remodel or building a mansion, we know you want to stay on schedule and on budget. 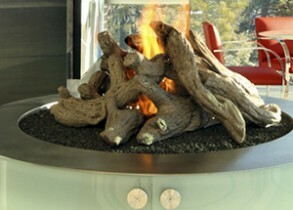 At Q&D we believe he important thing about dream homes is that you get to dream.